Whether your company is 100 people in size or just one – it can be invaluable to access to a second opinion from those with MAS90 experience. 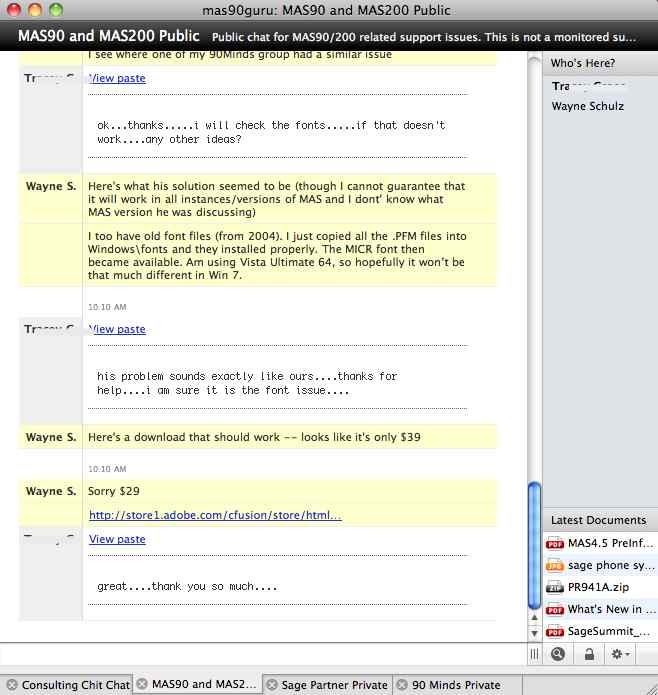 Starting today we’re dedicating one of our 37 Signals Campfire chat rooms to open MAS 90 and MAS 200 technical talk. This is NOT a free support avenue. It’s a way for end users and consultants to get and share second opinions or request additional help on tough support problems. There’s no registration required (though I would encourage you to send me an email – wayne@s-consult.com and I’ll create a free account for you which will allow you to view prior chat history) — and the group is fully open and public so what you type is seen by anyone else that’s inside the group. We’ll run this for three or four months and see whether it can be expanded upon or improved. Don’t expect the room to be monitored 24×7 – rather it should be considered a gathering place for MAS 90 support pros to hang out. When you log into the room – don’t expect an off-topic rowdy party. 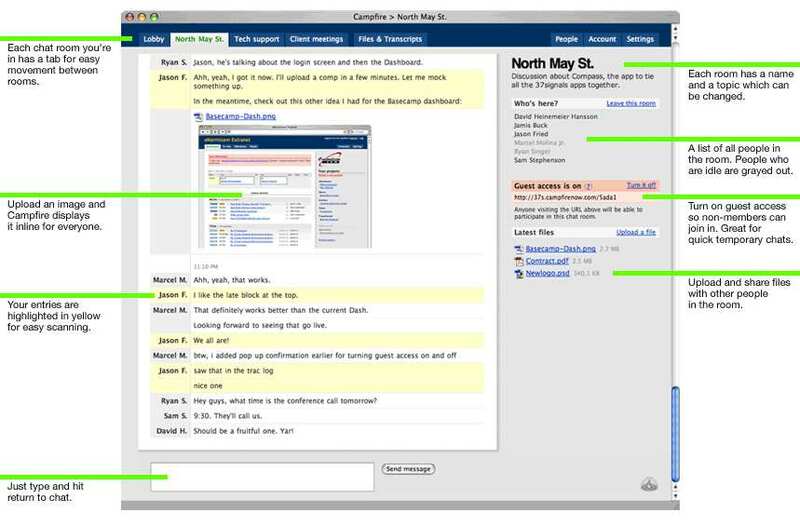 The premise of MAS90 chat is that you leave this room open and on your computer and other users join and leave during the day. During the majority of the time there may be no activity at all — so stay logged in until others join throughout the day. If someone has a question they can ask in the room. 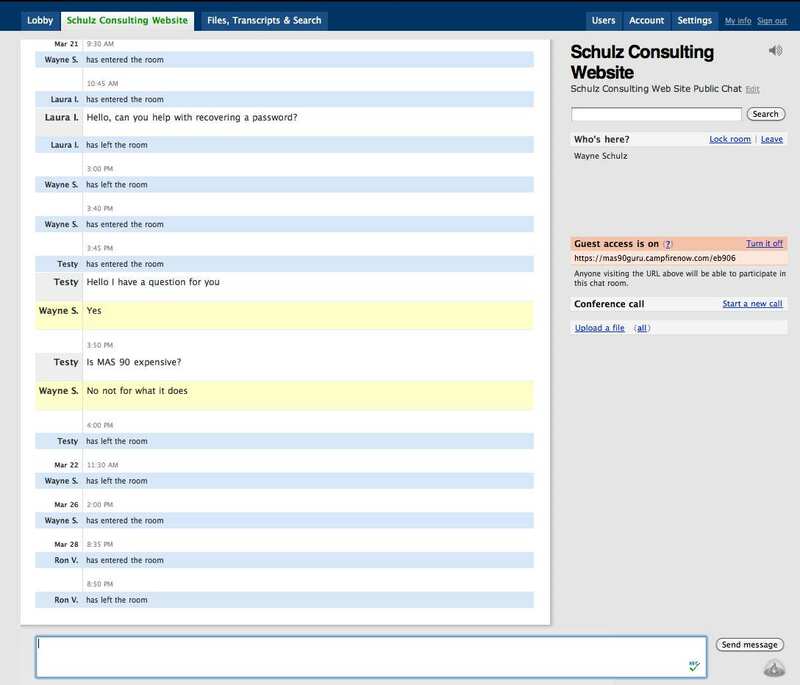 If someone can answer a question – and they happen to be logged into chat – they can answer (click below for an example). If you access the chat room via this link – you won’t have to register or supply a password — however the chat will only display what is occurring while you are logged in. If you would like to view chat history – please email me (wayne@s-consult.com) and I’ll create an account for you. Remember this is a two or three month experiment. 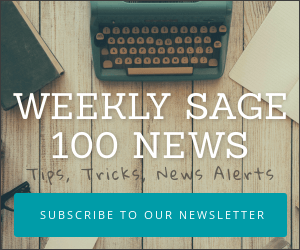 It’s not affiliated, recommended, endorsed or liked by Sage. Use all information and recommendations at your own risk and I strongly advise you consult with your Sage Business Partner prior to implementing any ideas shared in chat.